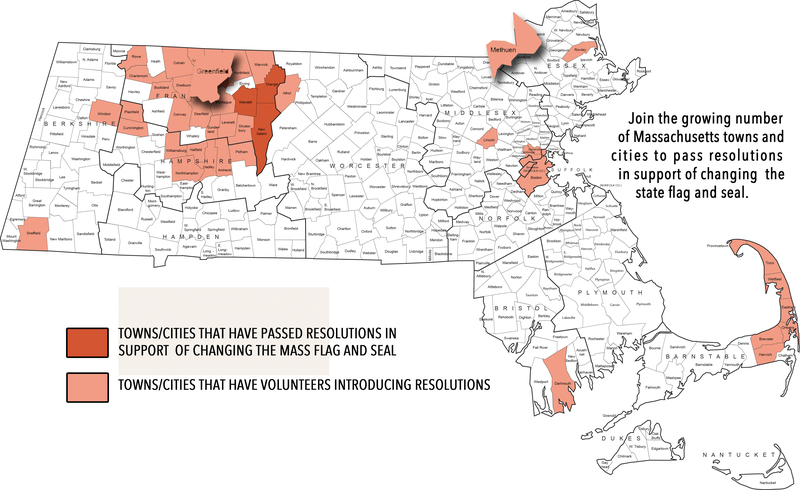 In 2018, four Massachusetts towns, Gill, Wendell, New Salem, and Orange, passed identical resolutions in support of changing the Massachusetts state flag and seal. A major campaign in 2019 will add this resolution to town meetings and city councils throughout the state. Let’s make sure our voices are heard in the State House and speak collectively as towns. To add your town or city to the growing list of communities supporting this change, please contact us using the form below. Together we can make the change.